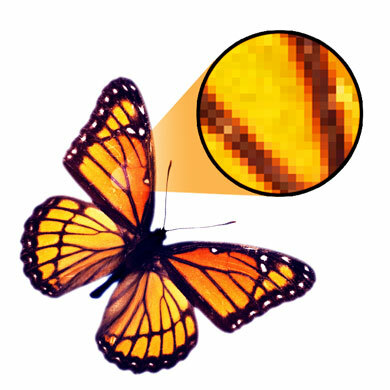 The designation of an image (text or pictorial) as being stored in the computer as dots; also called bitmap. All digital images are either vector or raster (see vector). A raster image has a dpi (see dots per inch) for a specific size. If the image is printed enlarged, the resolution will lower -- if the image is printed reduced, the resolution will rise.